Can you think of a time when something has been fair or even unfair? What was it? How does something being unfair make you feel? Our new value for this term is justice. 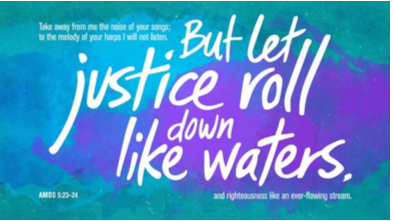 We will be thinking about what justice means all the way to Easter. 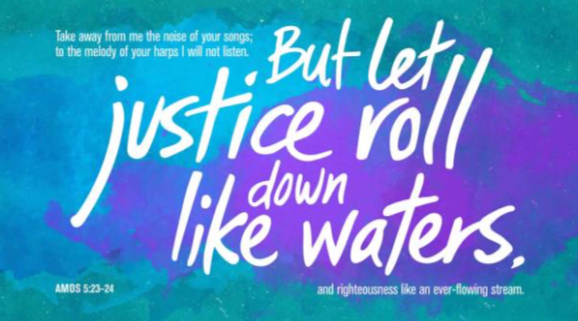 What do you think this quote about letting justice roll down like water means? Justice is about being fair and right towards each other. Can you think of times in your life when we need to be fair to others? Can you think of a time in school when you need to show fairness to others? 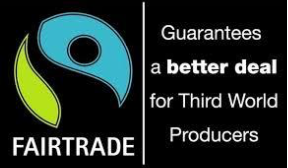 We will look at Fair trade as part of our link to justice. 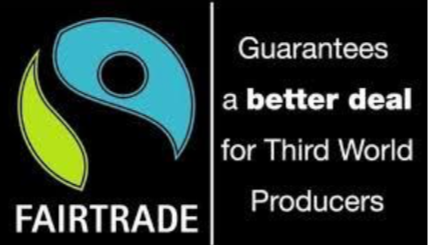 Fair trade works hard to make sure farmers in Third World countries are paid fairly for their work. Have you ever been courageous? What happened? How did you feel? Why were you showing courage? What does it mean to be full of courage? Our new value for the beginning of the year is courage. As part of collective worship and class reflection we are going to be looking at courage and courageous people. Did you know that our word courage comes from French word for heart? Take heart is another way of saying be courageous. Being courageous doesn’t mean that you aren’t scared. Many courageous people have been scared but they stood up for what was right anyway. There are a lot of courageous people in the Bible. Can you think of any stories where they might be somebody who showed a lot of courage at a difficult time? In the book of Joshua, in the Bible, it says ‘Be strong and courageous. 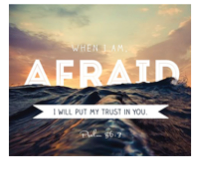 Do not be terrified; do not be discouraged, for the Lord your God will be with you wherever you go.’ Jesus often said to people “Don’t be afraid.” That sentence turns up 365 times in the Bible! Christians believe that when things seem difficult and hard that they can rely on God to strengthen their courage. 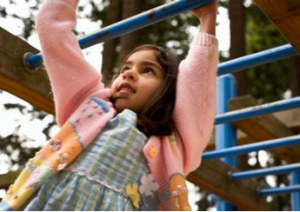 How can you show courage at school? We’re going to be thinking about trustthis term. 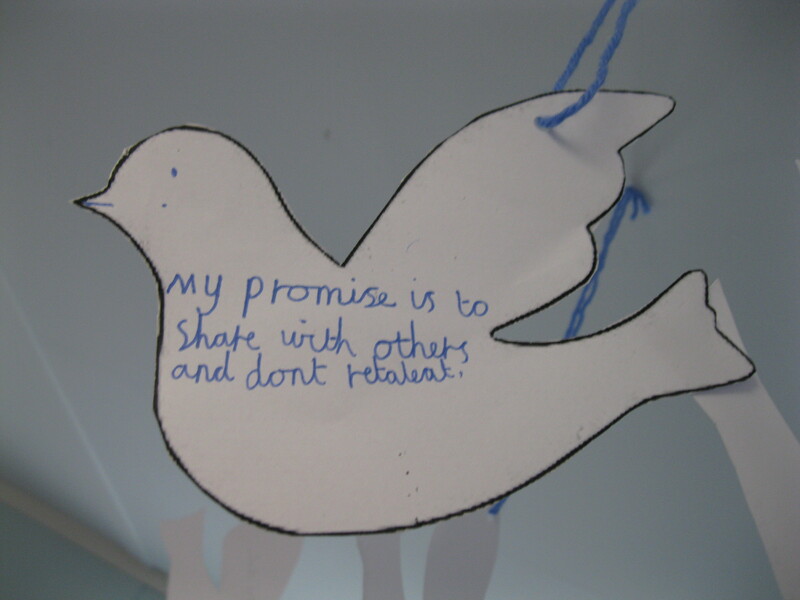 We’ve chosen this as one ofour key school values so what does trust mean? If you trust someone you believe that they will do what they said they would do. If you trust in something, you believe it to be true or right. Trust is really important. It can take a long time to trust someone but it can take only a moment for that trust to be broken. That’s why it’s something important to take very good care of. What special thing about them makes them people that you can trust? 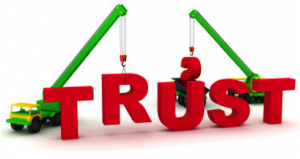 Can you think of something which shows that people are really trustworthy? In the Bible there are lots of stories about trust. In some of the stories people trust in God; in other stories people break other people’s trust. Joseph was very good at trusting. Read his story. How did he show trust? Look at the story of Daniel (Book of Daniel). Who did he trust? What happened to him because he showed trust? Look at the story of Zacchaeus (Luke 19) who was not a very trustworthy person at all at the beginning of his story. How did he change? 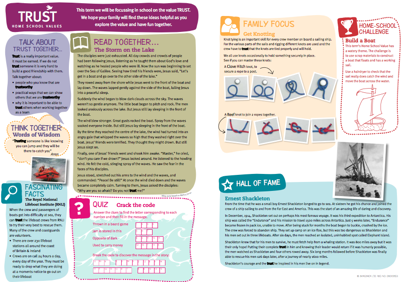 If you want to find out more about trust have a look at our home school values sheet. Just click the picture below. 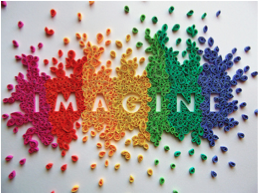 This term our value is creativity. 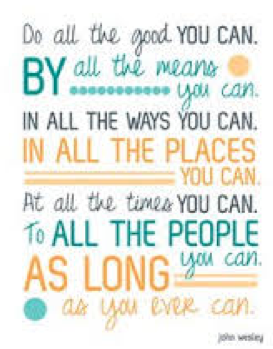 In fact this is one of our school’s key values. A really good example of this is the story of Caedmon and St Hilda. Caedmon lived 1300 years ago in the St Hilda’s Abbeyat Witby. 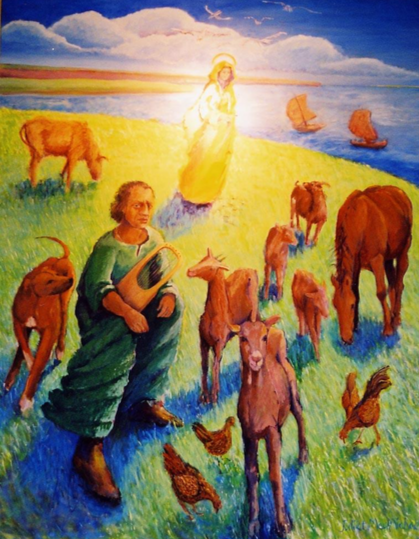 For most of his life Caedmon looked after the animals at the monastery. He hated singing and poetry and wouldn’t take part in these activities when people asked him to. If he was at a party and people were taking turns to sing a song, he would leave and go home. But one night, something special happened. Caedmon had gone back to the stable where he took care of the horses and settled down to sleep. But then he had a dream. In the dream, someone appeared to him, and said, ‘Caedmon, sing me a song.’He answered, ‘I can’t sing! That’s why I left and came to bed! I can’t sing! ‘The other replied, ‘Yes you will sing!’ ‘Sing what? ”Sing about how everything was created in the beginning,’ said the other. With that, Caedmon began to sing a song in praise of God, a new song which he had never heard before. Next morning, he told others about his dream and his song and was taken to see the Abbess, Hilda. After telling her about what had happened, he sang her the song. Hilda was amazed, so she called in some other older monks to listen to the song as well, to see if they could make sense of what was happening here. After some discussion, they decided the song could only have come from God. But could Caedmon do it again? To see if he could, someone read him a passage from the Bible (Caedmon couldn’t read) and he was sent away. Next morning, he was back with another song based on the passage. At that moment, Hilda told Caedmon that he must join the monastery straight away as a monk. He agreed. 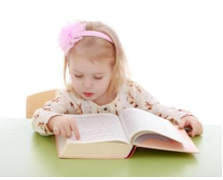 Soon, he was being taught all the things of the Bible that he had never heard before, and he didn’t forget a thing. Caedmon sang about the creation of the world, the creation of man. He also wrote many verses about the escape of God’s people from Egypt and their entering into the land of promise. He sang about many other Bible stories, especially the birth, death and resurrection of Jesus. He sang many more songs about serving God. 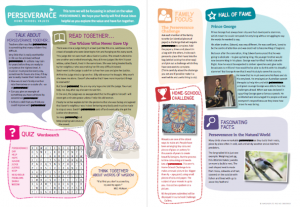 If you want to find out more about creativity have a look at our home school values sheet. Just click the picture below. 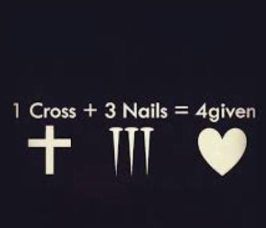 Until Easter our value is forgiveness. 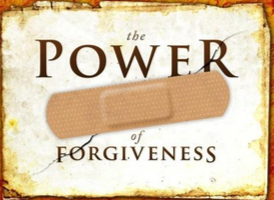 Forgiveness is really important to Christians as it reminds them of why Jesus died. Easter is a good time to think about forgiveness. Archbishop Desmond Tutu said, “Without forgiveness there is no future.” Ghandi said that “The weak can never forgive. Forgiveness is the attribute of the strong.” Do you agree with these quotes? What do you think about forgiveness? 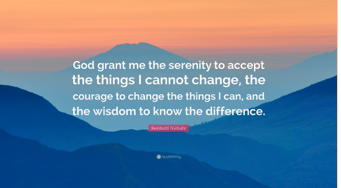 Forgiveness isn’t easy; in fact sometimes it is one of the hardest things we can do but often forgiving others can make us feel as if we have had a big weight taken off our shoulder. Lewis B. Smedes said that “To forgive is to set a prisoner free and discover that the prisoner was you. What do you think of that idea? There is a lot about forgiveness in the Bible. It was very important to Jesus. ‘Forgive us for doing wrong, as we forgive others’ (Matthew 6:12, CEV). 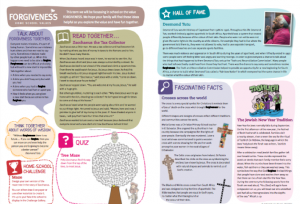 If you want to find out more about forgiveness have a look at our home school values sheet. Just click the picture below. 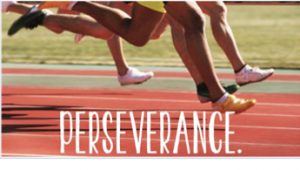 This term we are exploring what living our lives with perseverance means. How did you keep going? What did it feel like at the end? Perseverance means keeping going even when something is difficult. Sometimes this might mean that it goes wrong lots of times before you get it right! Sometimes perseverance means lots and lots of practice. Think about some of things you have persevered at. 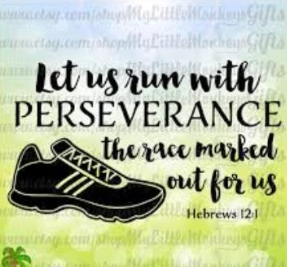 There are lots of stories about perseverance in the Bible. 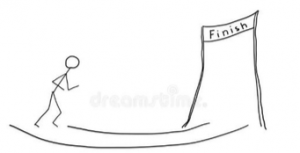 In fact the Bible said that life is like a race you are racing. 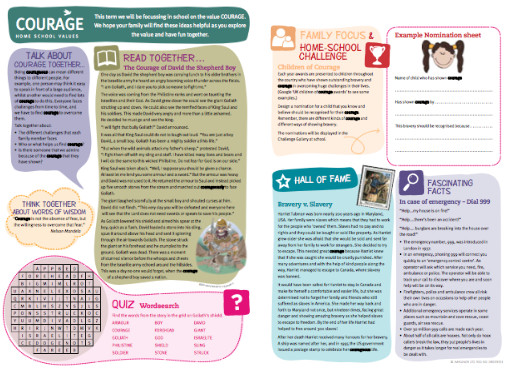 If you want to find out more about perseverance have a look at our home school values sheet. Just click the picture below. 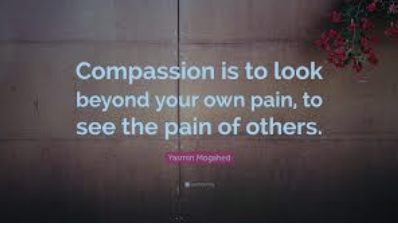 What do you think of this definition of compassion? Could you add any more? 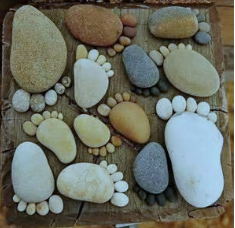 Talk at home about the ‘Footprints’ poem and the Bible passages below. Can you decide what they each teach us about ‘compassion’? 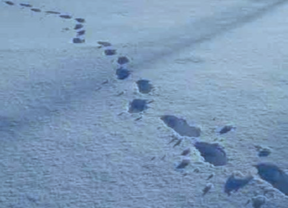 Sometimes there were two sets of footprints; other times there was only one. 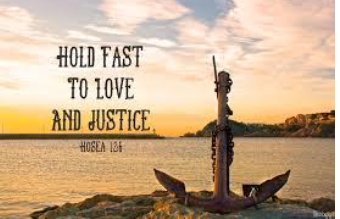 Find these bible passages – what do they teach us about ‘compassion’? 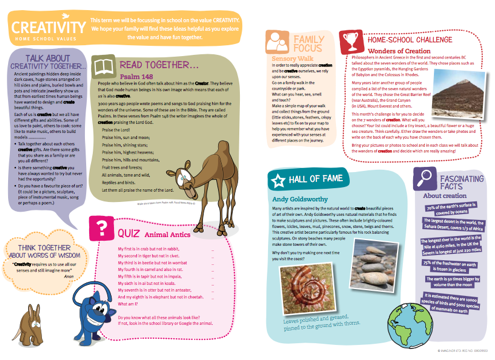 If you want to find out more about compassion have a look at our home school values sheet. Just click the picture below. 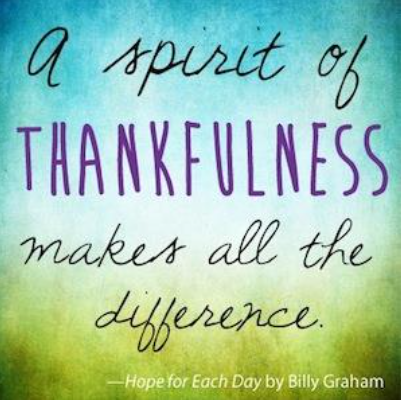 Until October half term we will be looking at thankfulness as our school value. 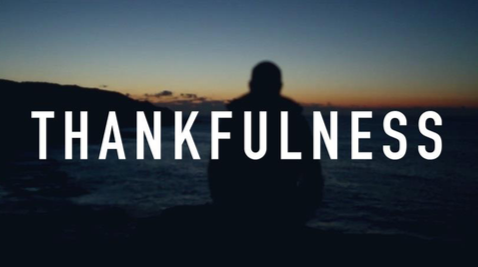 We will talk about what being thankful means, how we can find things to thankful about every day and how we can show our thankfulness. As part of our Harvest festival we are going to be talking about being thankful for the crops grown to produce our food. We will collect tins and long lasting food to donate to Foodbank. We have been looking at the book ‘A seed is sleepy’ this term and as part of our Harvest service we give out seeds to show our thankfulness to the bees for all their hard work. Christians believe that God loves and cares for them in many different ways in all aspects of their life. 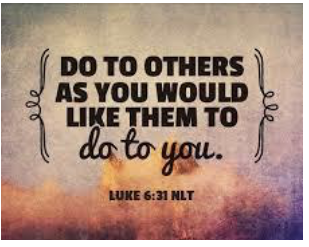 This means that they should show their thankfulness to him and others through the way the act and care for people around them. 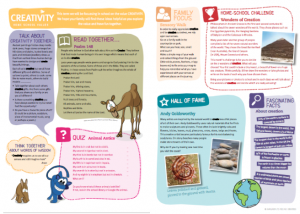 If you want to find out more about thankfulness have a look at our home school values sheet. Just click the picture below. 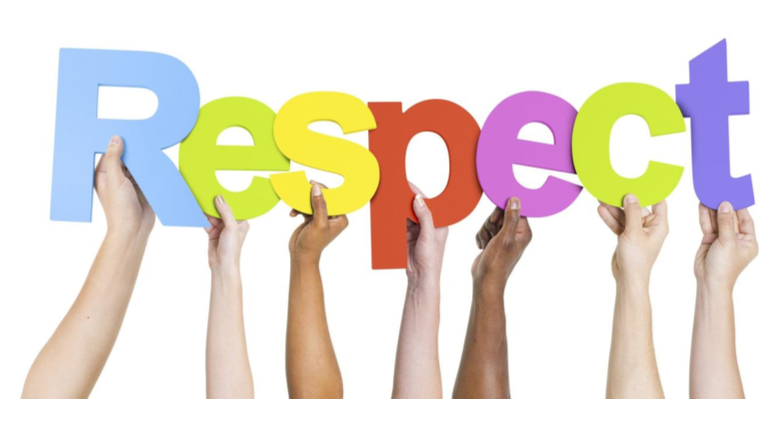 Our value this term is respect. Respect means treating each other politely and with courtesy. Respect has to do with recognising each other as fellow human beings with equal rights to ourselves. Respect does not mean that we always agree with the other person but that we are prepared to listen and share our views without rudeness or impatience. Can you think of ways you have been shown respect by others? ? How can we show respect to our friends and family? 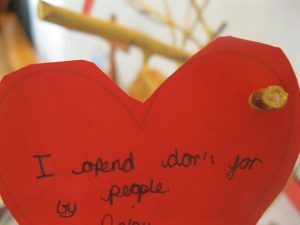 How can we show respect people at school ? Try out one of those things and see what happens. 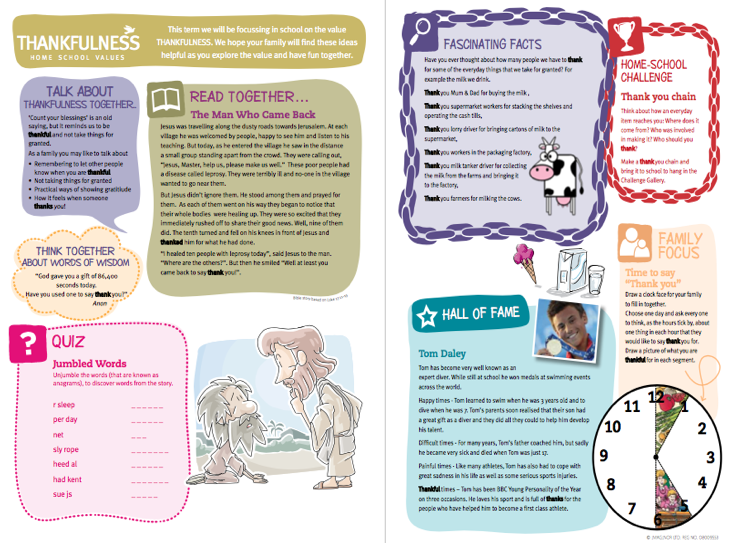 If you want to find out more about respect have a look at our home school values sheet. Just click the picture below. 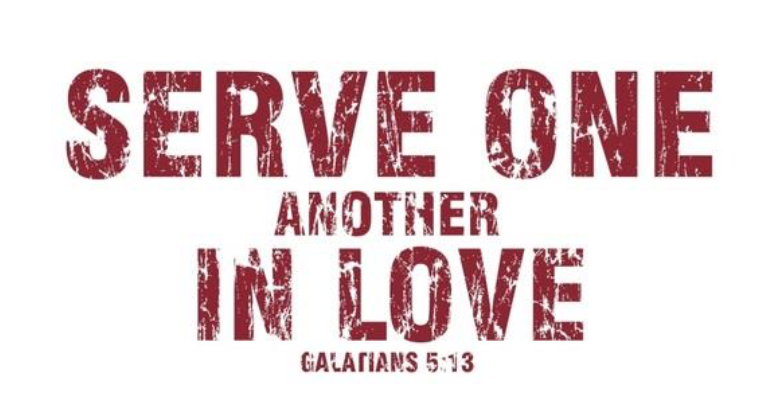 Our value this term is service. 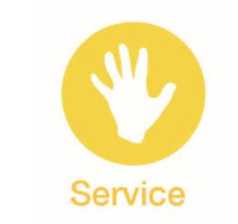 Service means looking after and helping people. 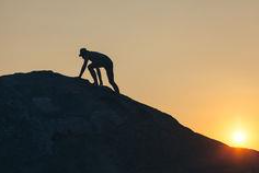 Can you think of any people who have helped you in the past? How can you help people? 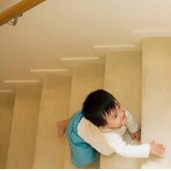 How can you help people at home? How can you help people in school? 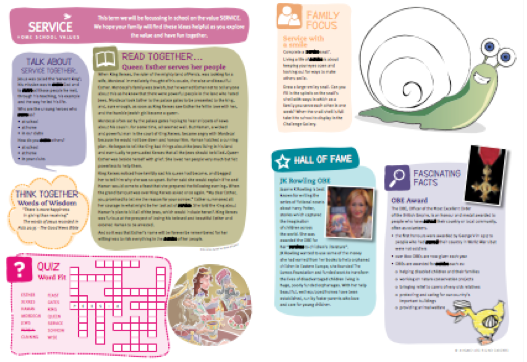 If you want to find out more about service have a look at our home school values sheet. Just click the picture below. Can you think of a time when something has been fair or even unfair? What was it? How does something being unfair make you feel? Justice is about being fair and right towards each other. Can you think of times in your life when we need to be fair to others? 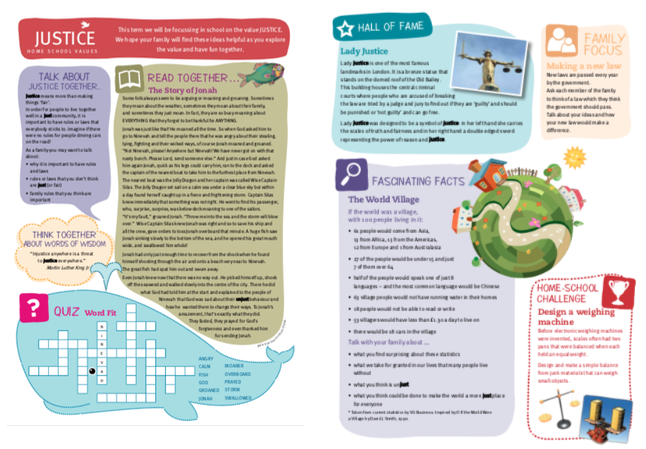 If you want to find out more about justice have a look at our home school values sheet. Just click the picture below. 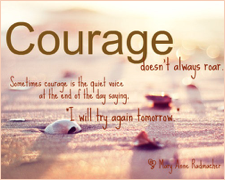 Have you ever been courageous? What happened? How did you feel? Why were you showing courage? What does it mean to be full of courage? In the book of Joshua, in the Bible, it says ‘Be strong and courageous. 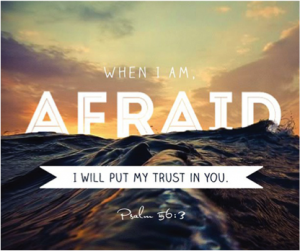 Do not be terrified; do not be discouraged, for the Lord your God will be with you wherever you go.’ Jesus often says to people “Don’t be afraid.” That sentence turns up 365 times in the Bible! Christians believe that when things seem difficult and hard that they can rely on God to strengthen their courage. 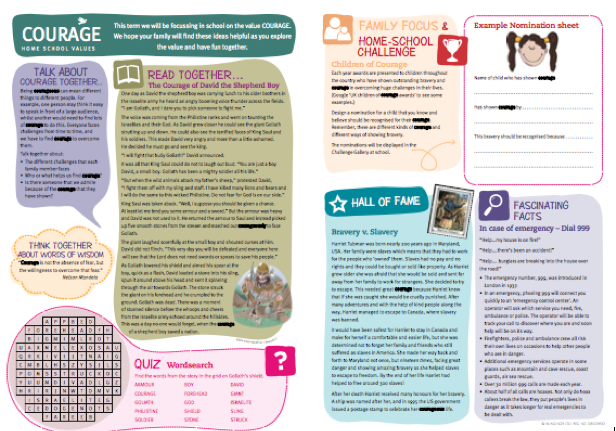 If you want to find out more about courage have a look at our home school values sheet. Just click the picture below. What does trust mean to you? Who do you trust? How do you feel if you have trusted someone with information? Does it matter if it a big thing or a little thing you have trusted them with? We’re going to be looking at trust this term in our collective worship. How might we show trust in school? 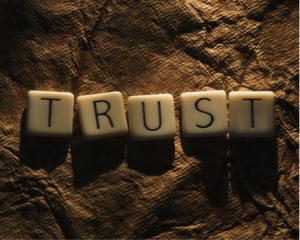 Why might it be important to show trust to people around us? There are lots of stories in the Bible which have trust in them. Some of the stories are about trusting that Jesus will always look after you. Have you heard the story of the sick servant? Have you heard the story of the lost sheep? We’ve been thinking about how we can show generosity to others around us without spending any money. We did this by doing kind acts. What sort of things have we done? 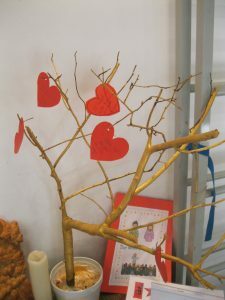 We displayed some of generosity hearts on our tree on the Worship table in the hall. Often when people talk about generosity they are thinking about sharing money and belongings but generosity is bigger than just that. 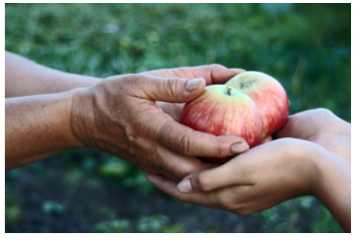 Generosity can also be about sharing your time and abilities with others. We are going to be thinking about generosity this term as our value. Generous people often say that they receive much more than they give. Perhaps this is because when someone is generous to us, it makes us want to be generous in return. The opposite of being generous is being selfish. How did someone respond to your generosity? 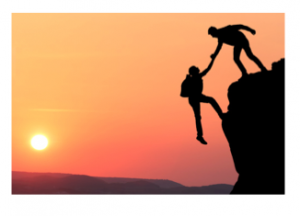 How do you show generosity to someone you finder harder to get along with? What kind of person would you prefer to have as a friend? Who is the most generous person you know? Why did you pick them? 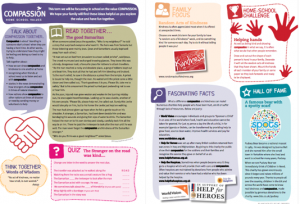 If you want to find out more about generosity have a look at our home school values sheet. Just click the picture below. Sometimes it can take a lot of courage to be creative. 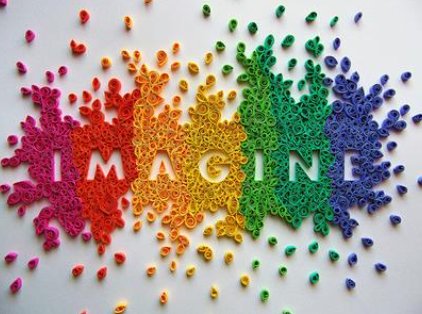 You might have to share new idea with people who might think differently. Caedmon lived 1300 years ago in the St Hilda’s Abbey at Witby. For most of his life Caedmon looked after the animals at the monastery. He hated singing and poetry and wouldn’t take part in these activities when people asked him to. If he was at a party and people were taking turns to sing a song, he would leave and go home. But one night, something special happened. Caedmon had gone back to the stable where he took care of the horses and settled down to sleep. But then he had a dream. ‘Sing about how everything was created in the beginning,’ said the other. With that, Caedmon began to sing a song in praise of God, a new song which he had never heard before. Here is the song which Caedmon first sang in his dream. We’re going to be thinking about trust this term. We’ve chosen this as one of our key school values so what does trust mean? 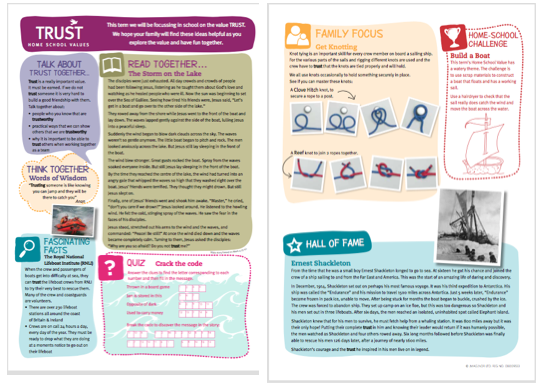 If you want to find out more about trust have a look at our home school values sheet. 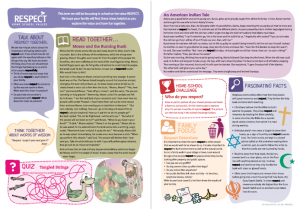 If you want to find out more about forgiveness have a look at our home school values sheet. From now until February our value is perseverance. We can describe perseverance in different ways. We can persevere in lots of different things. We might have to persevere to learn how to tie laces or you might have to keep practising a skill so that you can get on a sports team. It might take a matter of a few goes or maybe many months or even years to achieve your goal. Perseverance can, at times, be really difficult as you don’t feel like you’re getting anywhere but you just have to keep going. ‘The Lord gives strength to those who are weary… Those who trust the Lord will find new strength. They will be strong like eagles, soaring up on wings; they will walk and run without getting tired’ (Isaiah 40:29-31). 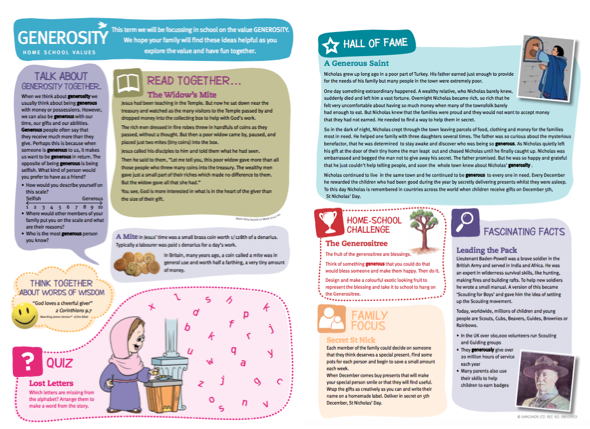 If you want to find out more about peace have a look at our home school values sheet. 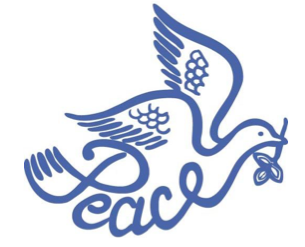 This term our value is peace. Peace can mean lots of different things. an end to war and fighting. a time of quiet and stillness. not being interrupted or disturbed by anything. Peace can be a big thing for example when countries stop fighting one another but it can also be a small thing. You can make up with your friends after an argument. 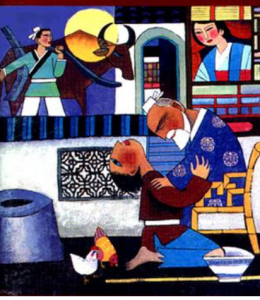 Bible story links to peace;The prophets in the Old Testament foresaw the day when there would be an end to war – see Micah 4:1-5 (beating swords into ploughshares). Isaiah advises that a child will come one day who will be called ‘The Prince of Peace’ – see Isaiah 9:6-7. The angels sing of peace on earth when Jesus is born – see Luke 2:8-16. Jesus brings peace to the storm on Lake Galilee – see Luke 8:22-25. 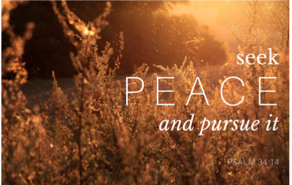 Paul talks of Jesus being the person who can bring peace between opposing groups of people – see Ephesians 2:14 -18. Paul prays for peace among the people to whom he writes – see 2 Corinthians 13:11-13. 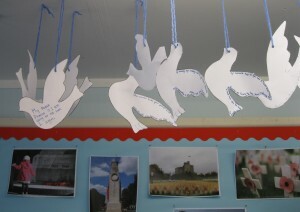 In assembly we have been looking at peace which is our value this term. We thought really hard about what peace means and how we can be peaceful in school. We’ve written peace promises where we say how we can show peace towards others in our school. Our Christian value for this term is Friendship. 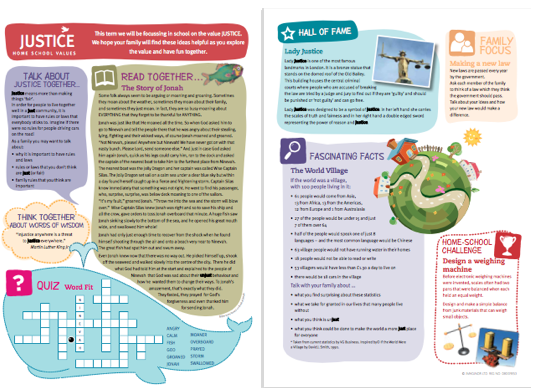 Have a look at some of the linked activities on the activtiy sheet.